As the Christmas holidays peak over the horizon, TV schedules are filled with family films to entertain the kids during their school breaks. But while it's easy to dismiss family films as an adult, or to even resent your children or younger siblings hogging the box and watching them, there are a select few that will entertain every member of the family, regardless of age. Step forward, a Town Called Panic. 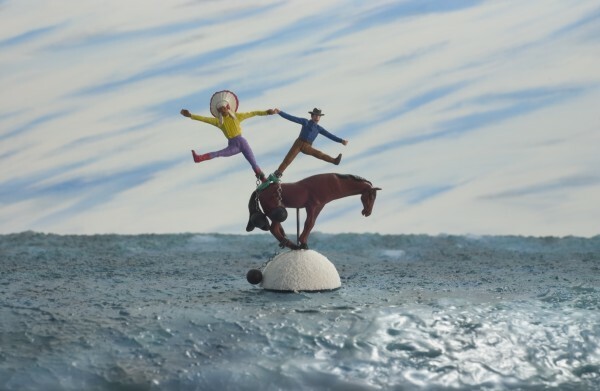 A Town Called Panic is a 2009 French stop-motion animation film written, directed by and starring Vincent Patar and Stephane Aubier in a world of plastic toys. The plot centres around Horse, who is celebrating his birthday, much to the surprise of his housemates, Cowboy and Indian. 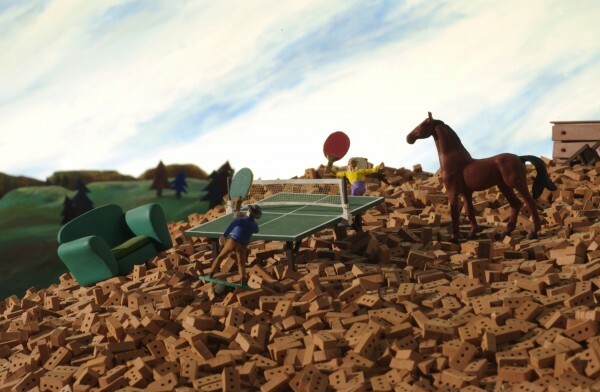 The latter 2 panic and attempt to build Horse a barbeque, but accidentally order 50 million bricks instead of 50. They hide the excess bricks on top of the house, which eventually makes it collapse. An angry Horse tries rebuilding the house with the help of Cowboy and Indian, but a mysterious thief repeatedly steals the walls, kicking off an adventure across the world. If the plot alone does not sell you the film, I don't know what will. 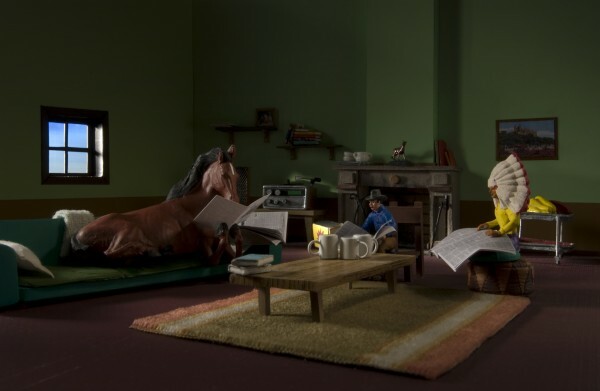 Despite being a very French production, English audiences will be familiar with the style and characters from an advert for Cravendale milk at around the time of the film's release, in which stop-motion plastic toys wander round a house in frantic pursuit of the dairy product while shouting 'MILK!' at the tops of their voices. So, what makes this film stand up above the majority of family films as one worth watching for any age group? The crazy humour and frenetic pace are something to behold, even if that sort of houmour does not appeal to you. Children will enjoy the silliness of the plot, while adults are mostly likely to find the film funny due to how far out of leftfield the story developments come. There is a subtle amount of adult humour as well, giving grown-ups a chance to enjoy the movie on a level that goes over the kids' heads. The simplistic designs of the sets combined with the jerky movements of the characters give this film a certain charm and its fresh feel-good story will keep you happily entertained this Christmas.